Todd Anthony is a name that you can expect to hear a lot of in the future. This young actor from Philadelphia, PA has been making his name known on stage, television, and film over the last four years. As Todd continues his journey through the entertainment industry, he also has advice for some others who have chosen to take the same road. No, he’s not a big megastar like Will Smith but just an actor trying to make his own mark and who better to tell the ordinary every day struggling actor what roads to take. 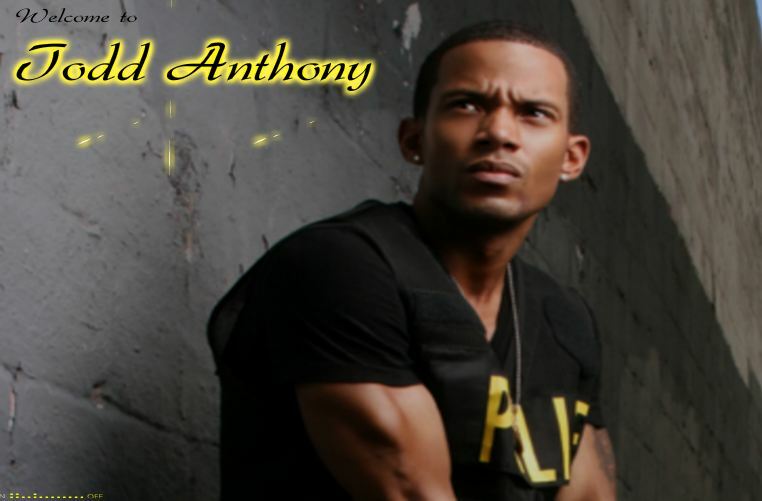 Please check out more information on his website www.thetoddanthony.com. SLW: What made you want to act? TA: Two things. Naturally I like to impersonate people and I always have as a kid although I never translated it into wanting to act until later on in life. The other thing was the show Fresh Prince. When I would watch that show people would say, “You kind of act like him.” I would say “yeah, whatever.” At the same time, however, I was watching and I would say to myself “I can do that”. SLW: What did Will Smith say when he met you since you do have that slight resemblance? TA: When I met him and we had a chance to sit down with my friend, Donald Welch, I got to listen on what he had to say as far as industry wise and just some of the knowledge he was sharing about making it in this business. For example, he talked about doing your first movie. Actors and producers don’t realize that on your first movie you really have to bite the bullet financially because you’re really not going to make that much because it’s your first movie but once you’ve done your first one and people get wind of who you are then that’s when your money starts generating. SLW: What’s the main advice you have for young people who want to be actors? TA: You need not have the mentality that I want to be a star because I think when you have that mentality you may not realize how much work it may take. You not wanting to be a star will keep you humble and allows you to be yourself because people in this business respect that more. Then I would say you would have to really work hard because you can’t expect things to happen overnight. Even if it does, you have to operate with the mentality that this is going to take me at least 5 or 6 years at the minimum to really get to where I need to go if you working your behind off. Working hard outweighs talent any day. Initially, you determine that you want to be a movie star you start getting into any and everything and that’s not always good. It’s good that you want to bust your behind but it’s bad because your time might be wasted on something that you could have said this isn’t worth my time. I always tell people you have to work hard and smart. You don’t have to be in everything because everything is not going somewhere. If you’re really serious you’re building a brand where your name is a business so you have to be smart because you don’t want people saying “you were a part of that?” and you don’t want your time wasted. SLW: What’s the first thing that a newcomer should have? SLW: Where do you see yourself in 10 years? TA: I see myself well into my career as far as one of the big screen premier actors. I see myself owning a production company and a clothing line. I actually have a clothing line that my mother, Jacqueline Miles, and I have started but that will be more established before 10 years from now. SLW: Do you think it’s a good idea to have realistic goals? TA: Yes. Nothing wrong with wanting to be a movie star, but you have to set goals on how to get there you can’t just try to shoot to be a movie star. My acting coach, Dustin Felder and I set goals every month so at the end of each month I can look back and say I’ve actually have done something. Those small things add to something big, whether its weekly, monthly or yearly, you have to set goals. That’s how you build up your brand.